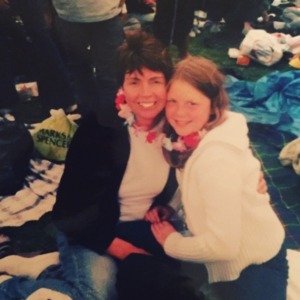 As Mother’s Day approaches a daughter who’s mum is sadly no longer around shares what the day means to her and the memories she has of her mum. Mother’s Day is so often sold to us as these quaint scenes; kids making their mum breakfast in bed, adorable homemade cards, and “Best Mum Ever!” mugs. While that’s potentially reality for some, the reality is more complicated for many. Maybe you don’t have a mother, never knew them, have a difficult relationship or, like me, yours is no longer alive. By most accounts, I had a pretty normal childhood. I grew up in a small town on the coast, the kind where everyone knows everyone and the news of the local M&S closing leads to protests (Yes, really). My parents separated when I was 10, with my Mum raising me and my older brother alone. Single parents are superheroes and she was no different. She worked so hard for us, working long days for low pay so that we had everything we needed. She was also my best friend. Getting the news of her cancer diagnosis, when I was 15 and she 42, was the very worst thing imaginable. I’ve always been a worrier. An early school report opens with the line “Aimee is a very nervous little girl…” and so coping with the uncertainty of her illness was so hard. I can remember peering into her bedroom at night needing to hear the sound of her breathing because I couldn’t shake the overwhelming fear she was going to die in the night. Throughout everything she looked after me and my brother, through surgeries, chemo, radiotherapy, everything. In 2016 I was doing my A-Levels, and getting ready to go to University when we knew it was terminal and that she would never get better. Her doctor once asked us if there was any event to look forward to, set as a goal she wanted to live to make it to. My Graduation. Over 4 years away at that point. I don’t know if any of us believed that was possible, but how do you even think of the alternative? She passed away 9 months later. I was 19. I was a first-year university student who could hardly make it to a 9am lecture, how was I supposed to do the rest of my life with no one to fall back on? The answer is, 6 years later I’m still figuring that out. It’s never going to stop being a challenge, whether on that Graduation day surrounded by my classmates and their proud mum’s or in the lead up to days like these. While I won’t be buying any flowers, sending a card or making that surprise trip home to see her this Mother’s Day I can be so thankful for everything she did for me and how she made me who I am today. Our families, whatever that means to us, are so precious to us. They shape who we are, can help us make it through the hardest times. That’s why I’m so lucky to work for Family Action, with all our staff, volunteers, and supporters helping families face some of the most difficult challenges life throws at us. Managing the loss of a parent or loved one can be hard, especially around Mother’s Day. Browse our Family Monsters Project website at www.familymonstersproject.com to find out more about the support available.